Using a powerful radio telescope to peer into the early universe, a team of California astronomers has obtained the first direct measurement of a nascent galaxy’s magnetic field as it appeared 6.5 billion years ago. 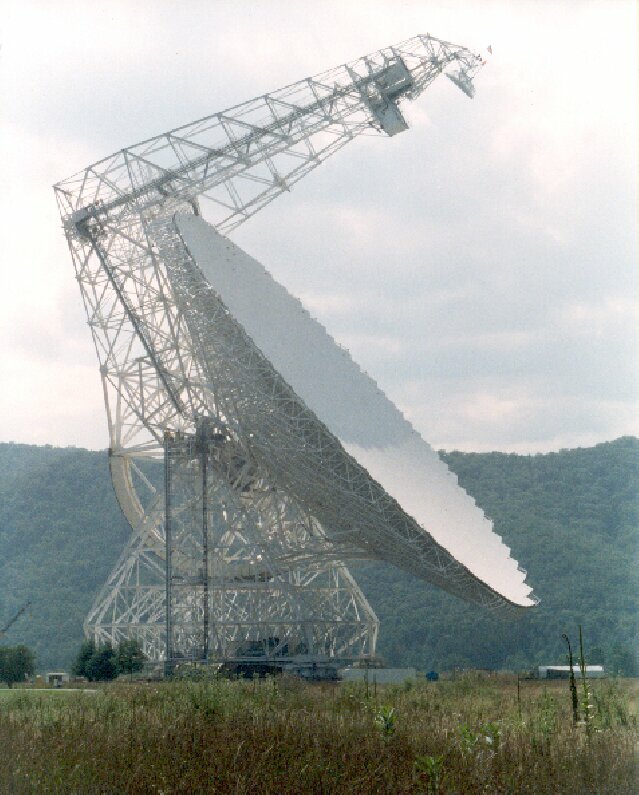 The astronomers used the world's largest fully steerable radio telescope, which stands 485 feet tall—taller than the Statue of Liberty. Astronomers believe the magnetic fields within our own Milky Way and other nearby galaxies—which control the rate of star formation and the dynamics of interstellar gas--arose from a slow “dynamo effect.” In this process, slowly rotating galaxies are thought to have generated magnetic fields that grew very gradually as they evolved over 5 billion to 10 billion years to their current levels. But in the October 2 issue of Nature, the astronomers report that the magnetic field they measured in this distant “protogalaxy” is at least 10 times greater than the average value in the Milky Way. The astronomers from the University of California campuses at Berkeley, San Diego and Santa Cruz used the world’s largest fully steerable radio telescope for their measurements—the Robert C. Byrd Green Bank Telescope in Green Bank, West Virginia operated by the National Science Foundation’s National Radio Astronomy Observatory. The young protogalaxy they probed, DLA-3C286, is located in a region of the northern sky that is directly overhead during the spring. Until recently, astronomers knew very little about magnetic fields outside our own galaxy, having directly measured the magnetic field in only one nearby galaxy. “And that field wasn’t as strong as the field we saw,” said Wolfe. But a team of Swiss and American astronomers reported in the July 17 issue of Nature that an indirect measurement of the magnetic fields of 20 distant galaxies, using the bright light from quasars, suggests that the magnetic fields of young galaxies were as strong when the universe was only a third of its current age as they are in the mature galaxies today. The precision of the telescope, which can be pointed with an accuracy of one arcsecond--equivalent to the width of a single human hair seen six feet away--enabled the astronomers to measure the magnetic field of a single galaxy. Other researchers involved in the discovery were Regina Jorgenson, a UCSD graduate student in physics; Carl Heiles, a professor of astronomy at UC Berkeley; and Timothy Robishaw, a graduate student at Berkeley. 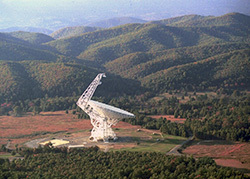 The study was funded by a grant from the National Science Foundation.